Clothes, bags, shoes, and other accessories! You are all set for the season but we will show you some hairstyles you must absolutely try. To complete your on-trend look this season, you don’t want to neglect your hair. A good hairstyle can give you the confidence to be the fashionista you dream to be. Give yourself a European makeover with the low or high knot bun. 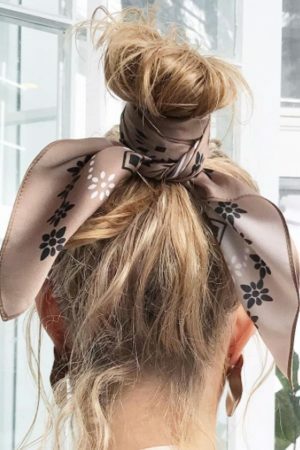 Highly trending on social media these days, make it insta-worthy with a scarf wrapped around or use a statement scrunchie. Worried that your hair does not have enough volume to make it look good? You can try the Jenica ponytail wrap or halo extension to get the look perfected. 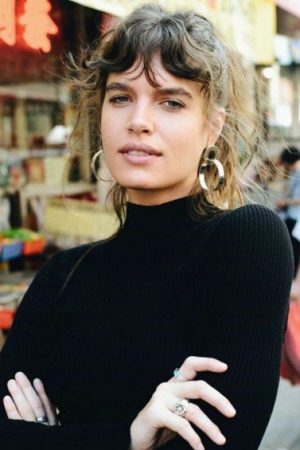 Instead of the blunt fringe, the trend of the season is wispy and wavy fringes. Since they give a messy look, they are easier to maintain. The messy makeover gives a very bohemian chic vibe. 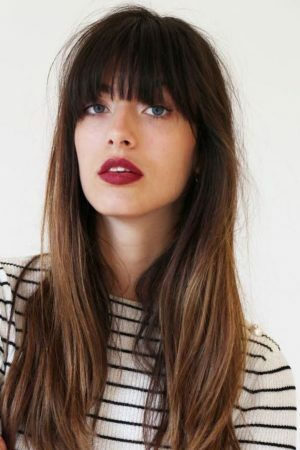 Accompany the fringes with ballayage hair extensions. Jenica Hair offers 3 options in ballayage; namely the Ombre California, Ombre Chestnut, and Ombre Malibu. 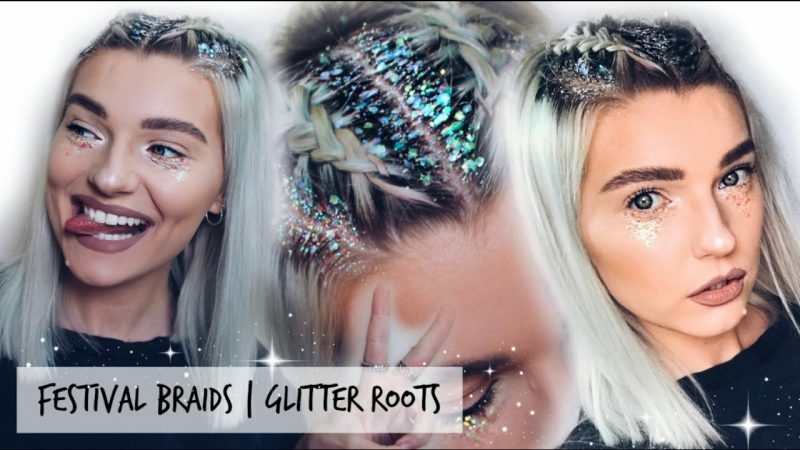 Glitter and hair piercing is one of the hottest new hair trends for a festival look. Very popular among the young ladies, it is typically used with braids but other hairstyles are possible too. For instance, it can be added to slick low bun, side-parted loose hairstyle, or middle-parted hair with braided buns on each side. This trend is making its way back. It is an exceptionally glamorous look if done right. The hair around the face are kept lighter while the roots are treated to a darker shade. It works great for ladies who like their hair down, loose, and messy. Completely effortless bed hair will work fine too if you get your roots dyed in a darker shade. 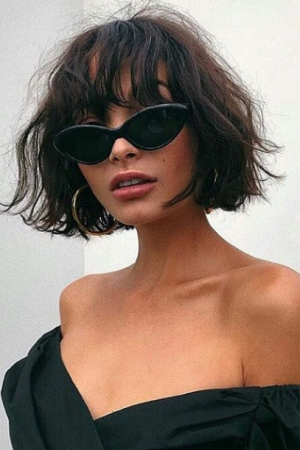 The messy bob cut is highly preferable for those who have an affinity for curls. This short but voluminous look is not just trendy for the season but gives a very young and lively vibe. It also allows you to be creative with the intensity of the curls and volume. The messy bob is easier to manage and can be made prettier with two-toned hair. Don’t lag behind in your hair game this season. Show some love to your beautiful hair by getting a beautiful makeover. Browse at Jenica Hair for hair extensions to get the hair looks you desire. Our hair extensions are manufactured from the finest materials to not only make you look comfortably stylish.